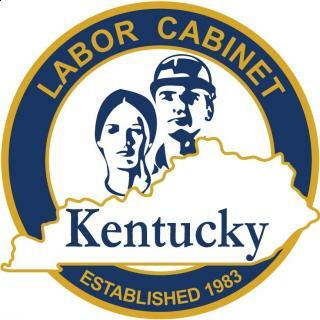 Builders Exchange of Kentucky in partnership with the Kentucky Labor Cabinet is providing a two-hour course entitled “Aerial Lift Safety” on November 21st from 8:00a.m. – 10:00a.m. This course provides a general overview of aerial lift safety and is designed to promote recognition and prevention of hazards associated with aerial lifts. Topics include the use, maintenance, and inspection of various types of aerial lifts. course is free of charge. Your Builders Exchange Board of Directors has been planning for the future. It is quite a challenge to look forward and plan the future for an organization that is clearly providing the best service at the best price of its peers and competitors in the construction reporting industry. Provide accurate and timely construction reports. Provide a user friendly plan room. Provide educational opportunities and training. The work to implement the Strategic Plan is well underway. With the addition of an outside marketing and sales director dedicated solely to intelligent growth of the Builders Exchange, we will be reaching out to organizations that were previously on the outside edge of our service area. At the same time we will be contacting contractors and design organizations within our traditional territory to make sure the Builders Exchange is providing the best possible coverage of the available projects for our members. An examination of the online plan room as well as the Builders Exchange “home page” is underway. The goal is to provide enhanced sites which will be faster, more intuitive and easier to operate, with better access to a variety of construction industry information. Our technology personnel are working to bring meaningful upgrades and features to the online plan room that will keep up with the changes forecast in the way we design and deliver construction documents now and in the future. Providing an improved, valuable and timely educational curriculum is in the works. We will be making every effort to determine what the educational needs are and deliver an annual program that is in tune with the changing requirements of our industry. Understanding that the environment has changed and tailoring education to adapt to those changes is the goal. Accomplishment of these goals will be a grand challenge. The Planning Committee and your Board of Directors has made it clear that our goals will be accomplished with an eye on the quality and integrity that has been the foundation of your Builders Exchange.